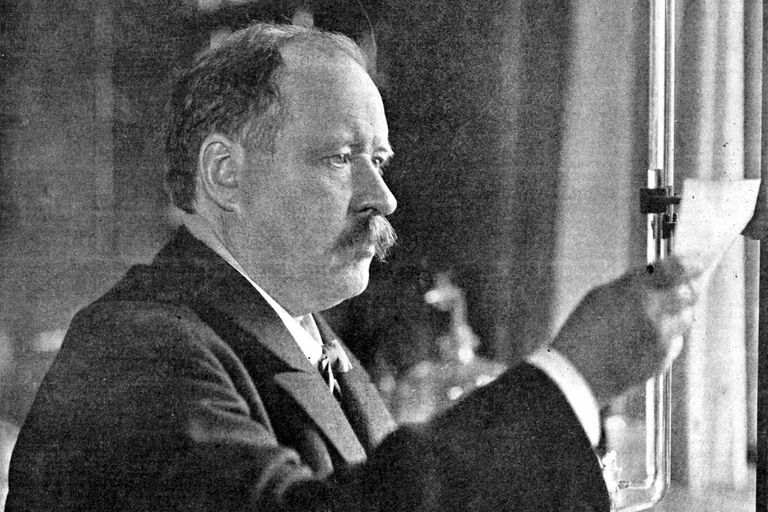 In 1889, Svante Arrhenius formulated the Arrhenius equation, which relates reaction rate to temperature. A broad generalization of the Arrhenius equation is to say the reaction rate for many chemical reactions doubles for every increase in 10 degrees Celsius or Kelvin. While this "rule of thumb" isn't always accurate, keeping it in mind is a good way to check whether a calculation made using the Arrhenius equation is reasonable. There are two common forms of the Arrhenius equation. Which one you use depends on whether you have an activation energy in terms of energy per mole (as in chemistry) or energy per molecule (more common in physics). The equations are essentially the same, but the units are different. In both forms of the equation, the units of A are the same as those of the rate constant. The units vary according to the order of the reaction. In a first-order reaction, A has units of per second (s-1), so it may also be called the frequency factor. The constant k is the number of collisions between particles that produce a reaction per second, while A is the number of collisions per second (which may or may not result in a reaction) that are in the proper orientation for a reaction to occur. For most calculations, the temperature change is small enough that the activation energy is not dependent on temperature. In other words, it's usually not necessary to know the activation energy to compare the effect of temperature on reaction rate. This makes the math much simpler. From examining the equation, it should be apparent the rate of a chemical reaction may be increased by either increasing the temperature of a reaction or by decreasing its activation energy. This is why catalysts speed up reactions! You are given that the activation energy of the reaction is 111 kJ/mol, the rate coefficient is 1.0 x 10-10 s-1, and the value of R is 8.314 x 10-3 kJ mol-1K-1. In order to solve the problem, you need to assume A and Ea don't vary significantly with temperature. (A small deviation might be mentioned in an error analysis, if you are asked to identify sources of error.) With these assumptions, you can calculation the value of A at 300 K. Once you have A, you can plug it into the equation to solve for k at the temperature of 273 K.
Use your scientific calculator to solve for A and then plug in the value for the new temperature. To check your work, notice the temperature decreased by nearly 20 degrees, so the reaction should only be about a fourth as fast (decreased by about half for every 10 degrees). The most common errors made in performing calculations are using constant that have different units from each other and forgetting to convert Celsius (or Fahrenheit) temperature to Kelvin. It's also a good idea to keep the number of significant digits in mind when reporting answers. In this case, the "x" of the line equation is the reciprocal of absolute temperature (1/T). So, when data is taken on the rate of a chemical reaction, a plot of ln(k) versus 1/T produces a straight line. The gradient or slope of the line and its intercept can be used to determine the exponential factor A and the activation energy Ea. This is a common experiment when studying chemical kinetics.